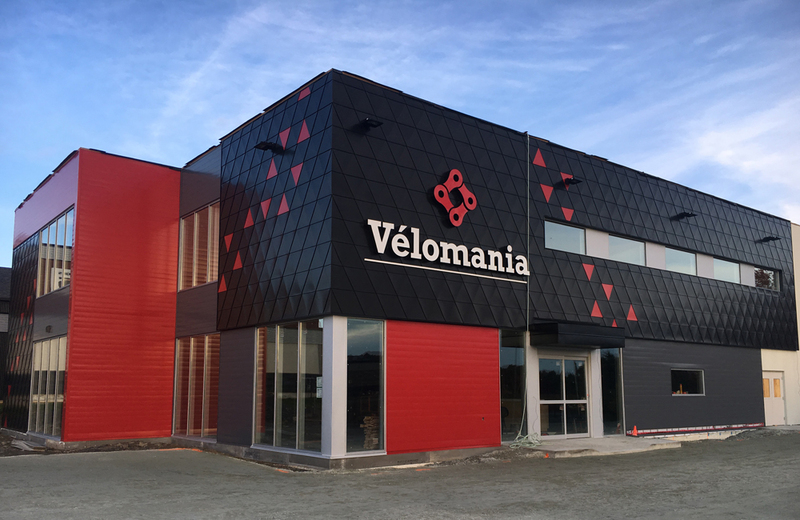 Construction of the new building of Vélomania in Sherbrooke is close to completion. The siding is a mix of 3R Tiles products, Pyramid tile, steel 24ga. PVDF finish, colors Brite Red and Black, Opaline panel OPF060, steel 24ga. PVDF finish, colors Brite Red and Charcoal Grey.